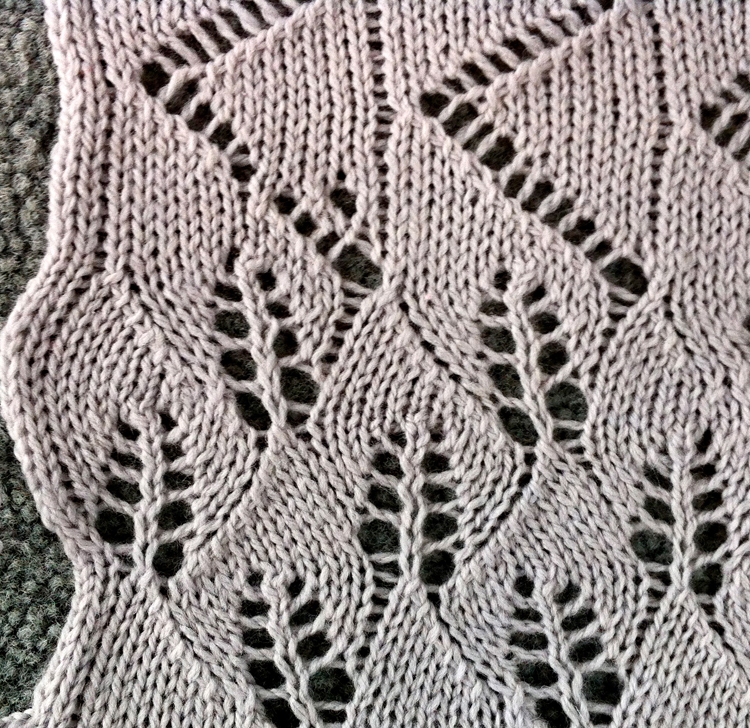 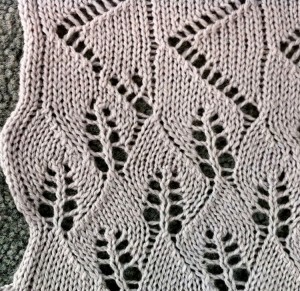 What follows is not a formal pattern, rather an illustration of the process I sometimes use to solve needs in my own knitting. 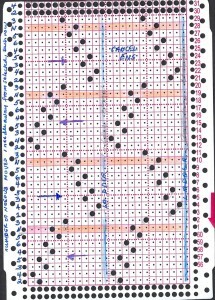 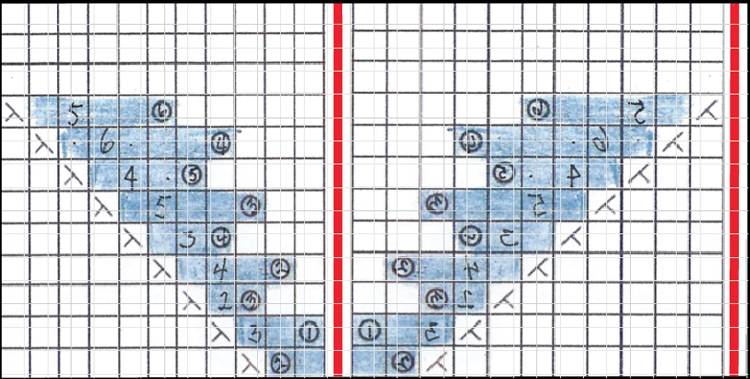 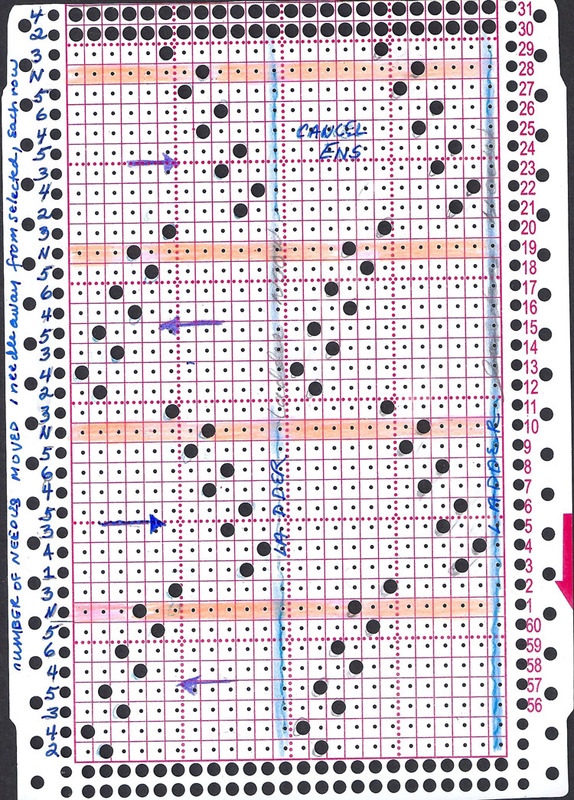 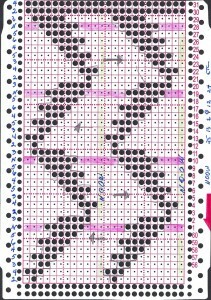 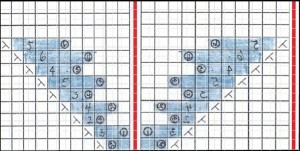 Numbers on left show how many stitches need to be moved to create the hole in the place where the needle is selected; they do not reflect design rows directly, since the card is read seven rows below eye level; large arrows indicate direction for moving stitch groups, with the horizontal colored stripe showing the beginning of each new transfer sequence; vertical blue rows show placement for needles out of work, and the resulting ladder. 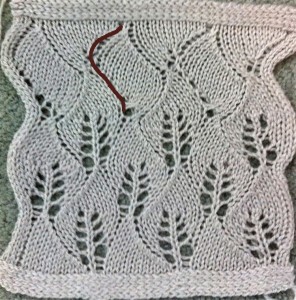 The garter stitches in the hand knit have been eliminated. 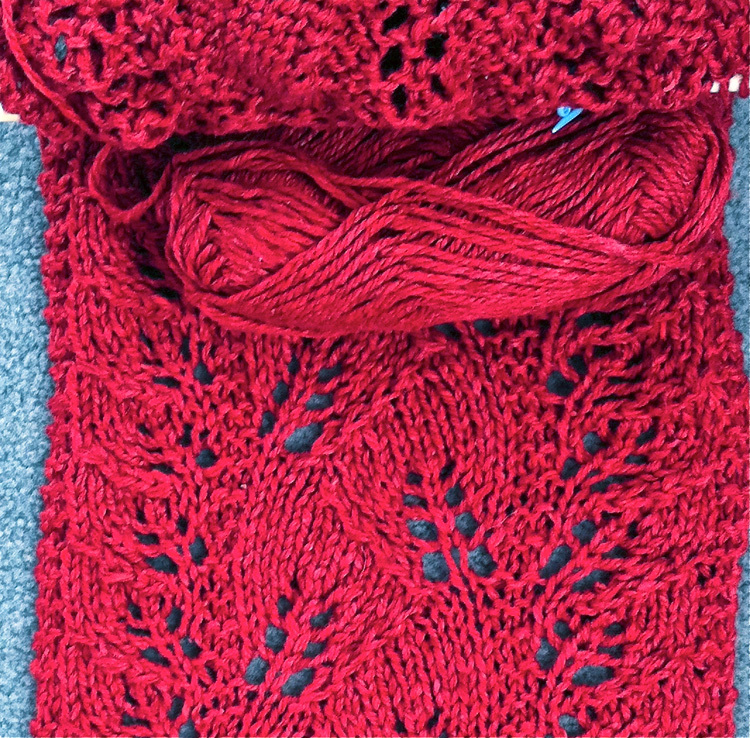 Now come attempts at a possible border trying to “match” top and bottom of knit: would prefer not to have to deal with issues of mirroring in center vertical and horizontal axis of scarf to get top and bottom to “match” . 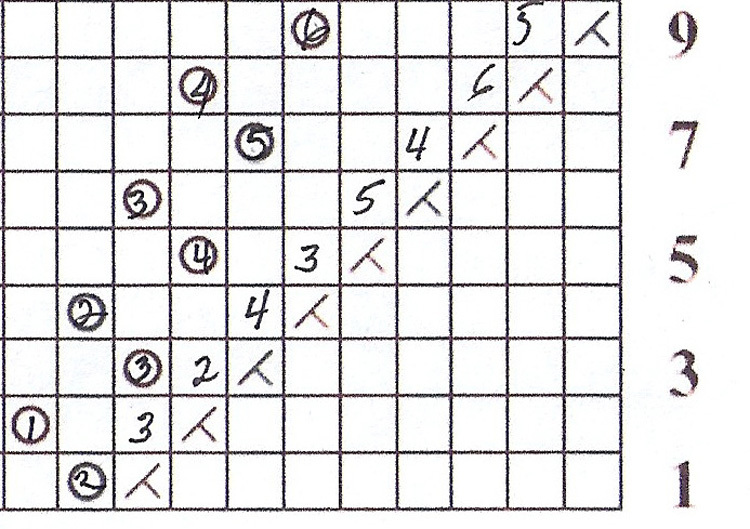 There is enough else to track. 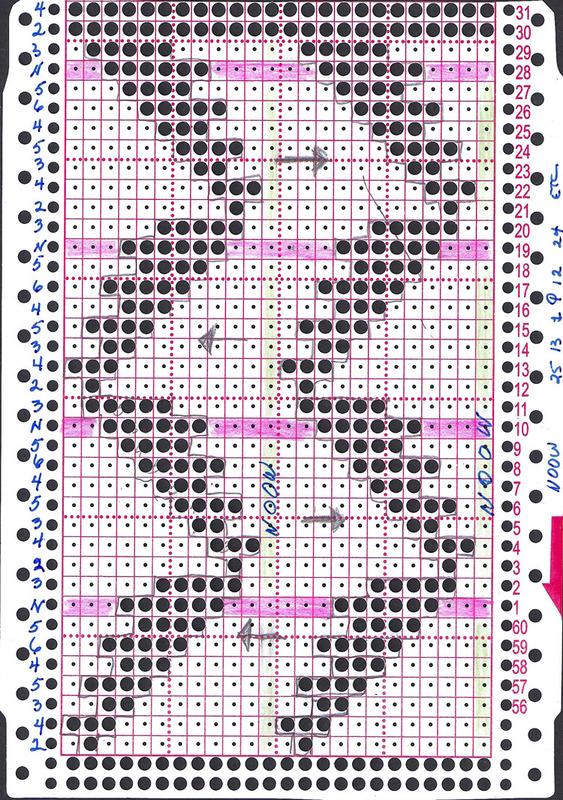 The swatch below is a bit closer to “like” and to eliminating the ridge at the center of the “triangles” that is formed if transfers occur in the usual manner and “hole” is then filled in with a purl ridge to eliminate it. 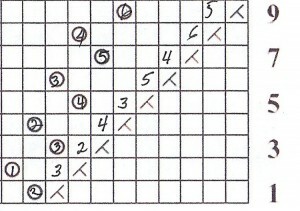 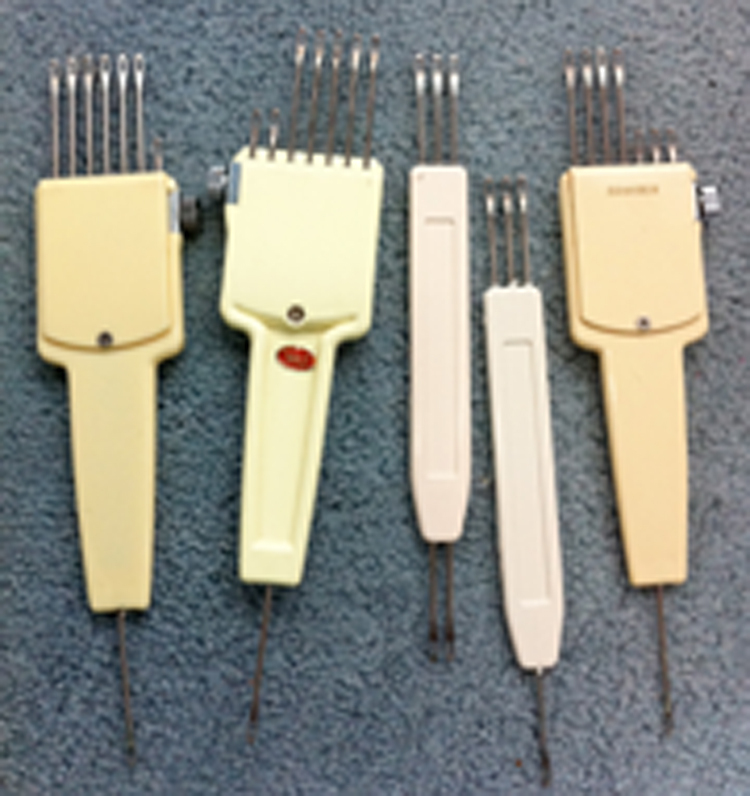 The “ladder line” below is marked, showing results from different attempts to fill in the empty needles resulting from moving the stitches. 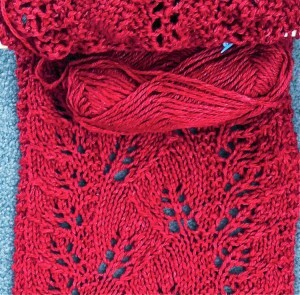 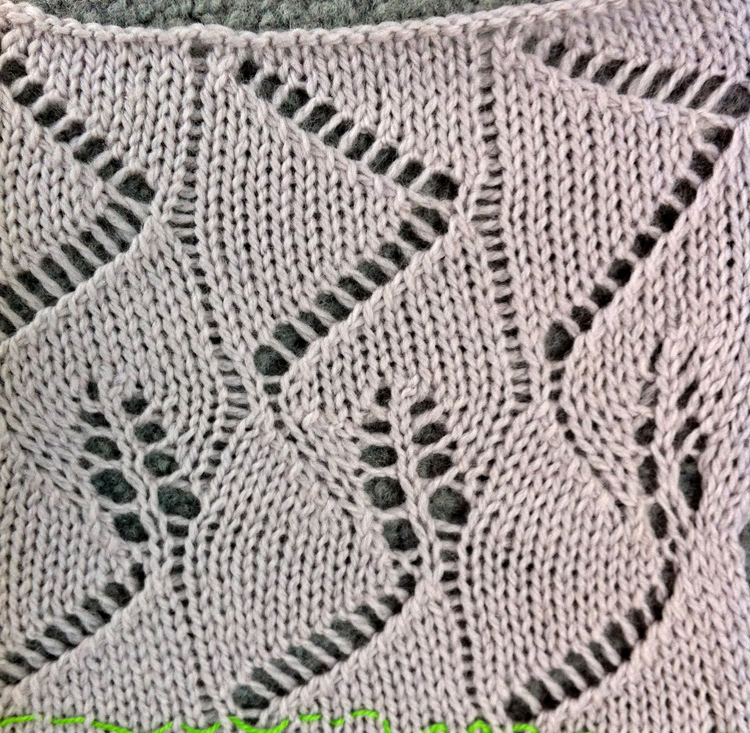 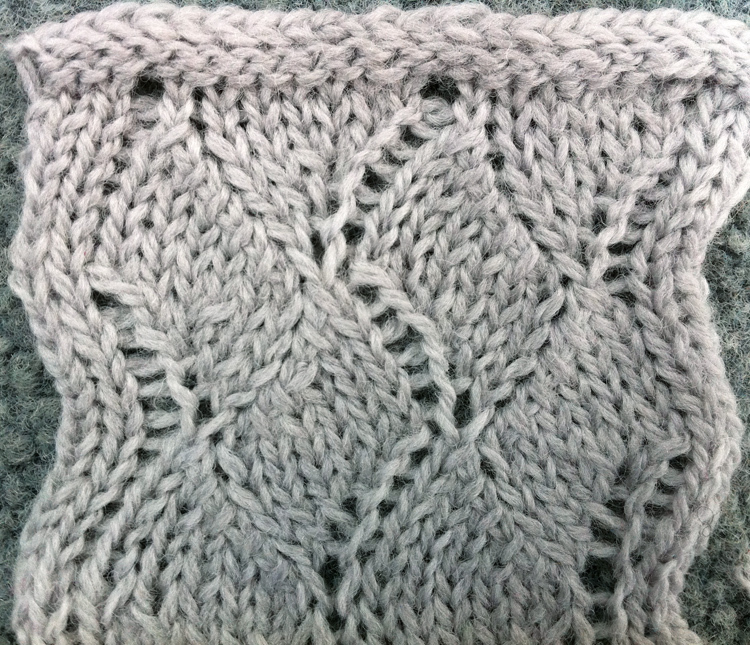 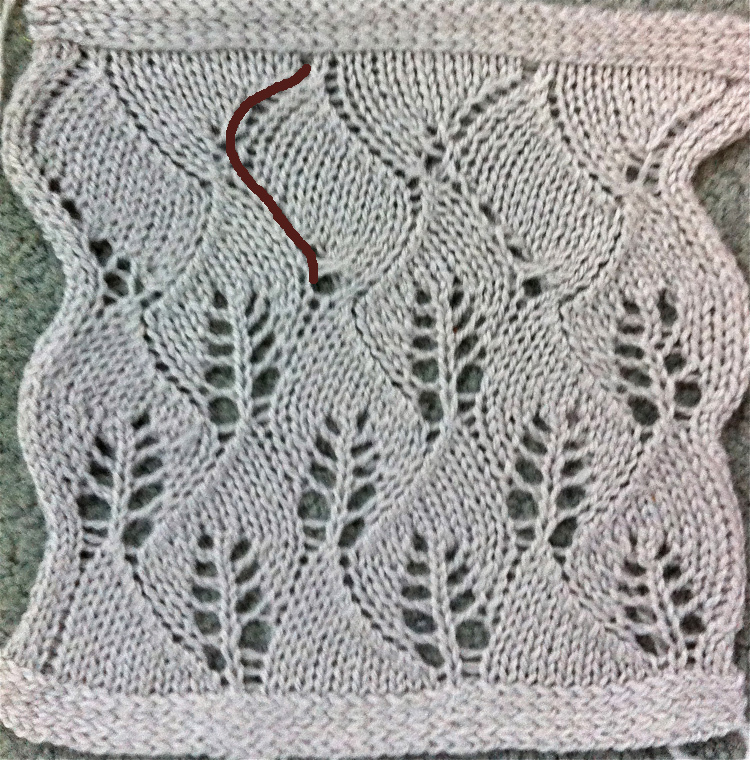 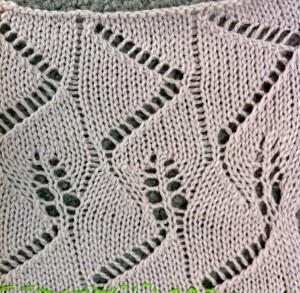 Top and bottom edgings are created by chaining as one would do a chain stitch cast on, behind the knitting on the needle bed, in front of the knit side of the fabric. 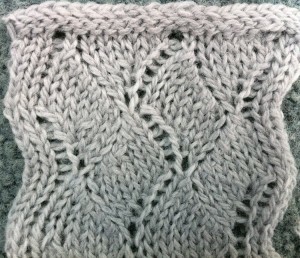 If knit on the bulky a garter edging could be hand knit first, placed on the KM, the piece knit in turn, then taken off onto HK needles again for adding garter stitch rows at the other end.